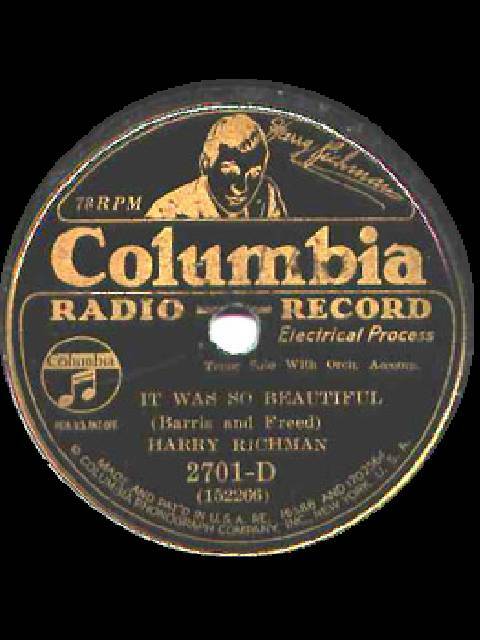 Arthur Freed and Harry Barris (of the Rhythm Boys). Kate Smith's version is much, much different than Annette's. is so slow and melodramatic that you want her to pick up the pace a bit. Granted it is slow song, but Kate's version seems just out of place for this big of a picture. It would have been quite interesting to see Annette sing her version in this movie. of what the major radio stars of the day sounded like and looked like. Columbia had she recorded this song and released it. much weaker numbers without a problem. one of the most powerful songs of her career with the same musicians. "We Just Couldn't Say Goodbye"
would be the only song she recorded a video for and where we can see in top form.